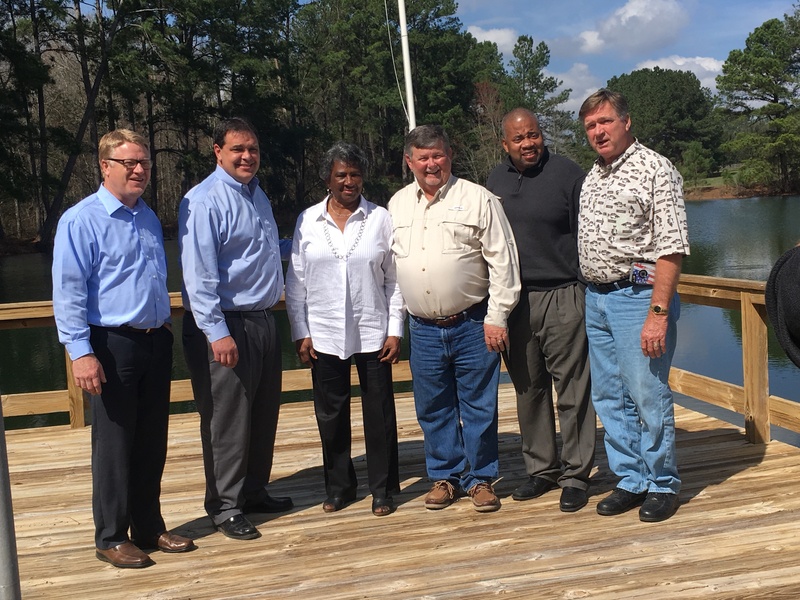 The 2018 Lowndes County Commission Retreat was just about the exact opposite of a commission meeting, except that same group of people are present (almost). There was discussion, disagreement, laughing, sighing, interrupting, listening, inside jokes, outside jokes, and general exchange of views. Those things don’t happen in a commission meeting. This year’s retreat was particularly different because there was no time frame attached to any agenda item and they didn’t discuss topics in exact order, and some topics got covered repeatedly. Commissioner Evans said to me during a break that the previous format of having departments just give a report can “get boring” and she had suggested that they have a different format with more discussion about communications. The agenda was available on-line but was hard to find and the link I followed to find it is gone now. I did manage to download it before it went away. Find it here: 2018 LCC Annual Planning Meeting Agenda (plus searchable text). There were paper copies available at the meeting after the first break. I sometimes think that the commissioners may be getting used to me but then, no, don’t be silly. At the lunch hour, the Commissioners stepped outside to take a group picture and as County Clerk Page Dukes suggested that they get closer and not have so much “space” between them, Commissioners Orenstein and Griner (I live in their districts) huddled together. 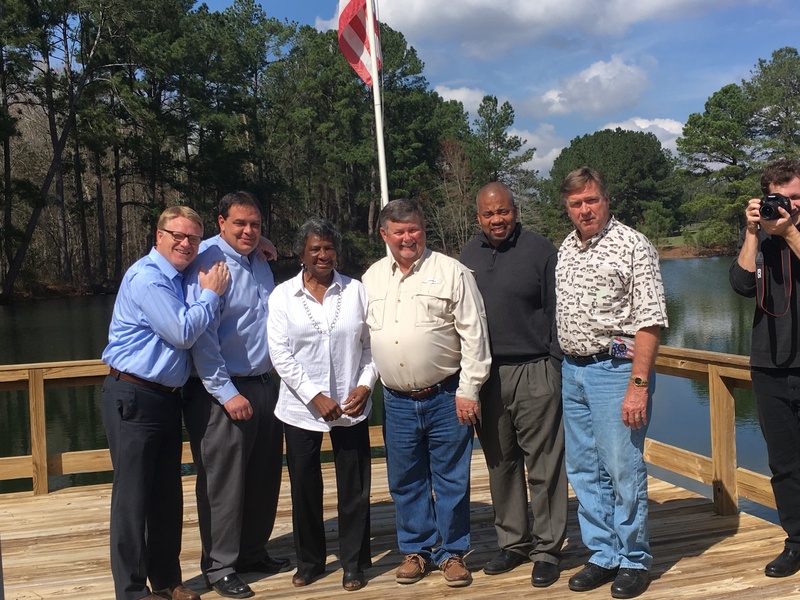 This entry was posted in Georgia, Government, Lowndes County Commission, SPLOST, T-SPLOST, Transparency, Transportation, Water and tagged 19 February 2018, Alapaha River, Annual Planning Meeting, audit, Bill Slaughter, Clay Griner, Courthouse, Day 1, finance, Georgia, Government, Gretchen Quarterman, growth, Hahira, LAKE, LCC, Lowndes Area Knowledge Exchange, Lowndes County, Lowndes County Commission, Naylor, Naylor Boat Ramp, right of way, roads, Scottie Orenstein, sewer, Simpson Road, SPLOST, T-SPLOST, tap fee, tax, Transparency, Transportation, TSPLOST, Valdosta, Water on February 23, 2018 by Gretchen Quarterman. Larry Hanson will retire from the City of Valdosta, effective Dec. 8 after 42 years of public service, 22 of which he served as the Valdosta City Manager. 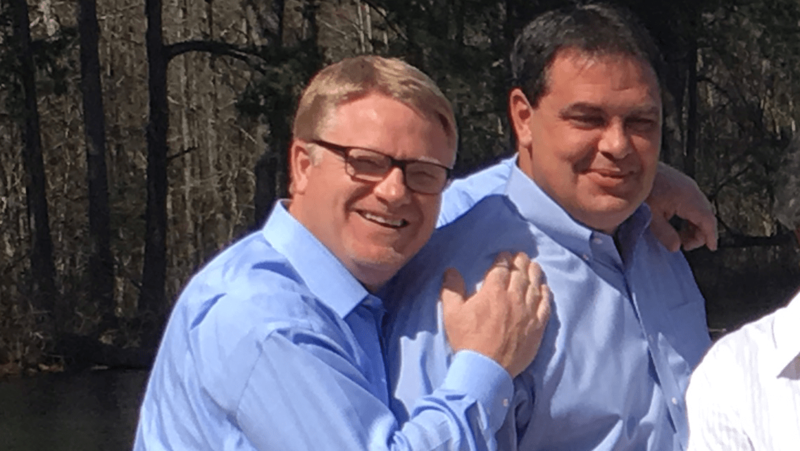 Hanson will assume his new role as the Georgia Municipal Association Executive Director, where he will oversee the advocacy, training and various programs for more than 500 Georgia cities. This entry was posted in Georgia, GMA, History, Valdosta City Council and tagged Atlanta, City Manager, Executive Director, Georgia, Georgia Municipal Association, History, Jimmy Rainwater, John Gayle, Joseph “Sonny” Vickers, LAKE, Larry Hanson, Lowndes Area Knowledge Exchange, Lowndes County, Special Purpose Local Option Sales Tax, SPLOST, Valdosta, Valdosta City Council on November 1, 2017 by John S. Quarterman. If the County Commission hadn’t privatized garbage collection, Frenchie could have registered his complaint about garbage falling off trucks through the new turnkey government website service once it’s online. No mention of the annexation request by the City of Hahira from the Work Session. Commissioner Powell noted the three SPLOST VII projects were “a direct reinvestment into the community of those funds”. The road resurfacing of four roads is actually mostly from a GDOT LMIG grant, but the other three, shoulder paving on Val Del Road and Boring Pond Road and a bridge replacement on Cat Creek Road are all from SPLOST VII funds. Plus some trucks for Animal Control and tablets for the Fire Department, an alcohol license, and some alphabet-soup agreements, one of which turned out to be for a grant for a victim advocate position in the Solicitor General’s office. Here’s the agenda. See also the previous morning’s Work Session. WORK SESSION, MONDAY, MARCH 24, 2014, 8:30 a.m. REGULAR SESSION, TUESDAY, MARCH 25, 2014, 5:30 p.m. This entry was posted in Alcohol, Animals, Economy, Government, Lowndes County Commission, Safety, Solid Waste, SPLOST, Transparency, Transportation, Trash and tagged 24 March 2014, 25 March 2014, ADS, Alcohol, Animals, Beatty Branch Bridge, Boring Pond Road, Cat Creek Road, Economy, fire, Frenchie, garbage, Georgia, Government, Gretchen Quarterman, LAKE, LCC, littering, Lowndes Area Knowledge Exchange, Lowndes County, Lowndes County Commission, Regular Session, Rescue, S.W. DePasteur, Safety, Solid Waste, SPLOST, Transparency, Transportation, Trash, Val Del Road, Valdosta, Work Session on April 7, 2014 by John S. Quarterman. Yesterday morning they discussed a turnkey government website service. And an annexation request by the City of Hahira. And they may actually be serious about coming into the 21st century with online county services. Turns out the road resurfacing of four roads is actually mostly from a GDOT LMIG grant, but the other three, shoulder paving on Val Del Road and Boring Pond Road and a bridge replacement on Cat Creek Road are all from SPLOST VII funds. Plus some trucks for Animal Control and tablets for the Fire Department, an alcohol license, and some alphabet-soup agreements, one of which turned out to be for a grant for a victim advocate position in the Solicitor General’s office. This entry was posted in Alcohol, Animals, Economy, GDOT, Government, Hahira, Lowndes County Commission, Safety, SPLOST, Transparency, Transportation and tagged 24 March 2014, Alcohol, Animals, Beatty Branch Bridge, Boring Pond Road, Cat Creek Road, Economy, fire, Georgia, Government, Gretchen Quarterman, LAKE, LCC, Lowndes Area Knowledge Exchange, Lowndes County, Lowndes County Commission, Rescue, Safety, SPLOST, Transparency, Transportation, Val Del Road, Valdosta, Work Session on March 25, 2014 by John S. Quarterman. Got to spend those SPLOST dollars widening roads and bridges to promote development farther out in the country! Plus some trucks for Animal Control and tablets for the Fire Department, an alcohol license, and some alphabet-soup agreements. It may be healthy as food, but I wonder if opaque acronyms unexplained in the agenda is good for local government. This entry was posted in Alcohol, Animals, Economy, Government, Lowndes County Commission, Safety, SPLOST, Transparency, Transportation and tagged 24 March 2014, Alcohol, Animals, Beatty Branch Bridge, Boring Pond Road, Cat Creek Road, Economy, fire, Georgia, Government, Gretchen Quarterman, LAKE, LCC, Lowndes Area Knowledge Exchange, Lowndes County, Lowndes County Commission, Rescue, Safety, SPLOST, Transparency, Transportation, Val Del Road, Valdosta, Work Session on March 23, 2014 by John S. Quarterman. That would be one of the projects Valdosta will use the $36.7 million GEFA loan to fund. 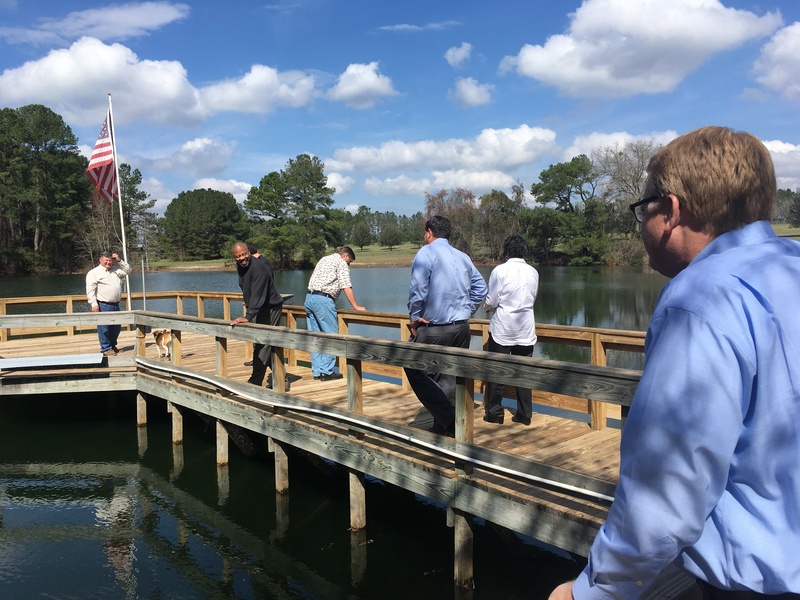 Other projects are related to the Withlacoochee Wastewater Treatment Plant (WWTP), which wasn’t the culprit this time. This sewer spill came from manholes overflowing. The Florida Department of Public Health is warning residents to avoid contact with water from the Withlacoochee River. This entry was posted in Environment, Florida, Georgia, Pollution, SPLOST, Transparency, Valdosta City Council, WALB, Water, WCTV and tagged Environment, Florida, Force Main, GEFA, Georgia, LAKE, Lowndes Area Knowledge Exchange, Lowndes County, Pollution, sewer, SPLOST, taxes, Transparency, Valdosta, Valdosta City Council, WALB, Water, WCTV, Withlacoochee River on March 20, 2014 by John S. Quarterman. Maybe that SPLOST money will build that force main and stop this. Meanwhile, they don’t call it Sugar Creek for nothing. And Twomile Branch flows into Sugar Creek, which flows into the Withlacoochee River, which flows into the Suwannee River through Florida into the Gulf of Mexico. Today we’ll probably see stories from Florida about river water warnings. It’s pretty ironic that National Flood Preparedness Week has come right alongside 5 inches of rain in South Georgia, but for residents of Valdosta who remember the flood of 2009, that much rain can be a real problem if you don’t have flood insurance. “Many people don’t realize that flood is not covered in their homeowners policy. It’s important to know what is and isn’t covered in your homeowners policy”, says Christi Marsh, a State Farm Agent based in Valdosta. Winnie Wright reports homeowner Carrie Eager found flood insurance preferable to evacuating by boat like before. This entry was posted in Environment, Pollution, SPLOST, Valdosta City Council, Water, WCTV and tagged Environment, flood, Georgia, insurance, LAKE, Lowndes Area Knowledge Exchange, Lowndes County, manhole, Pollution, SPLOST, Sugar Creek, Twomile Creek, Valdosta, Valdosta City Council, Water, WCTV on March 19, 2014 by John S. Quarterman.